I recently did my first group photo shoot for the Class of 2019 JCP Street Team. This shoot I wanted to be fun and colorful. 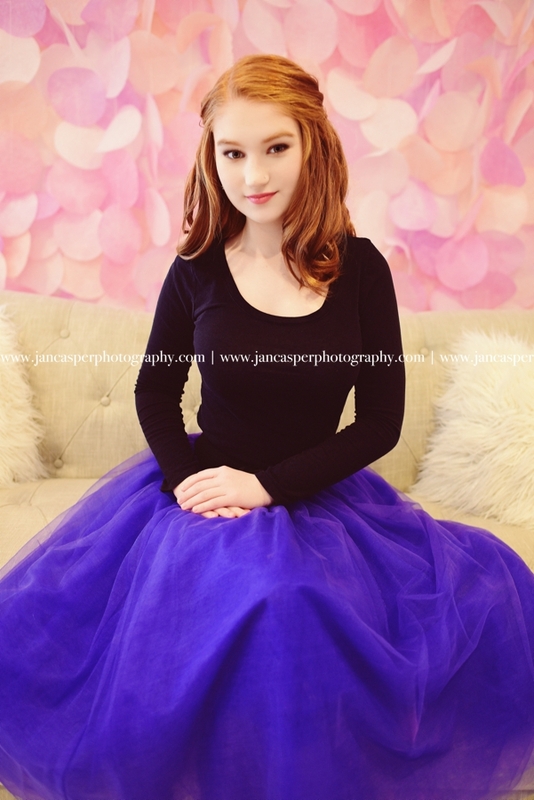 I did the shoot at a studio and used gorgeous backdrops made by Katherine Hallberg Design. I also styled a table with beautiful linens and lots of cupcakes and cookies for some super cute party themed photos. Thank you to Waterford Event Rentals for the gorgeous table linens. Meighan is a member of my JCP Street Team. I've had the pleasure of working with her on previous photo shoots. I was thrilled when she decided to join the team. I had a great time photographing her for the first shoot and can't wait to photograph her again for the next group shoot and then to finally take her senior portraits.